Princeton, NJ; April 13, 2017—In debates over the future of artificial intelligence, many experts think of the new systems as coldly logical and objectively rational. But in a new study, researchers have demonstrated how machines can be reflections of us, their creators, in potentially problematic ways. 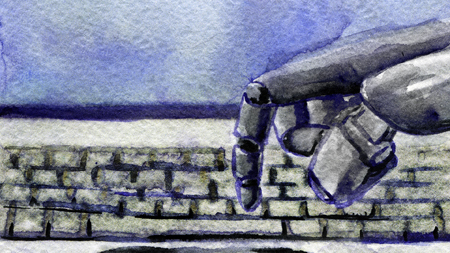 Common machine learning programs, when trained with ordinary human language available online, can acquire cultural biases embedded in the patterns of wording, the researchers found. These biases range from the morally neutral, like a preference for flowers over insects, to the objectionable views of race and gender. For instance, the machine learning program associated female names more with familial attribute words, like "parents" and "wedding," than male names. In turn, male names had stronger associations with career attributes, like "professional" and "salary." Of course, results such as these are often just objective reflections of the true, unequal distributions of occupation types with respect to gender--like how 77 percent of computer programmers are male, according to the U.S. Bureau of Labor Statistics. Press materials provided by Princeton University Engineering School.